"What I like most about working for Nurseline is the appreciation I get for the work I do. At the end of the day, if I get a thank you, it makes my day. I really do enjoy working for Nurseline." "Of the three agencies I’ve worked for Nurseline are the only one that treat me as a person not a number. It’s lovely that as an agency nurse I can feel part of a team and feel valued." "Thanks to everyone I’ve met working at Nurseline this Summer, it has been a great experience. I’ve grown mentally and physically." "What really stands out for me is the people. 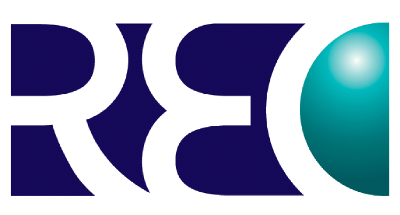 The whole organisation's ethos is based on how best can we support our clinicians to deliver a great service." Nurseline Healthcare are the mental health staffing partner of choice for the South of England. Nurseline Healthcare is a Specialist Community of Mental Healthcare Professionals, with branches in Bristol, Exeter, Slough, Stevenage, Oxford and Taunton. Nurseline supply experienced registered mental health nurses and support workers to care homes, community hospitals and independent providers of inpatient mental health care. Nurseline Healthcare brings a fresh approach to the ongoing challenges of short term and long term staffing. We’re committed to recruiting and retaining employees with the highest calibre of training, and to providing further long term development to our nursing and support staff. "I always know that when I request agency staff provided by Nurseline I will receive a committed, compassionate and safe member of staff." We have been working in partnership with Bornel Care since May 2014 and have provided almost 11,500 hours of shift cover in the last year alone. "I recommend Nurseline Healthcare to everyone that I come across, working with Nurseline is the best decision they will ever make." At Nurseline, community means everything. We realise that our community extends further than just our staff and our clinicians, so that’s why we launched the Nurseline Community Foundation. Our mission is to better the lives of service users by donating items that improve their daily experiences and make them smile. Sometimes it’s the smaller things that make the biggest impact. Two benches have been donated to the Pyrland Ward at Wellsprings Hospital in Taunton. One is in the courtyard next to the Activity Room, and the other is outside the Dementia Ward. 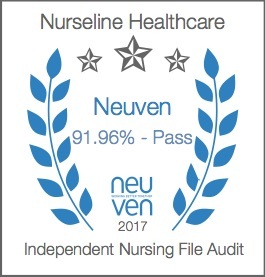 Want to work with Nurseline Healthcare? Complete an application form.